Get Braces from Our Yonkers Dentist Professionals. For children and adults with less than perfect teeth, braces from Saw Mill Dental can be an effective solution. Braces not only improves the look of misaligned or unattractive teeth. It improves overall oral health and self-esteem. Your Saw Mill Dental dentist will help you get the care you need to correct misaligned teeth, no matter what the patient’s age. We offer a wide range of solutions to improve oral health and help our patients smile, chew, and speak with confidence. 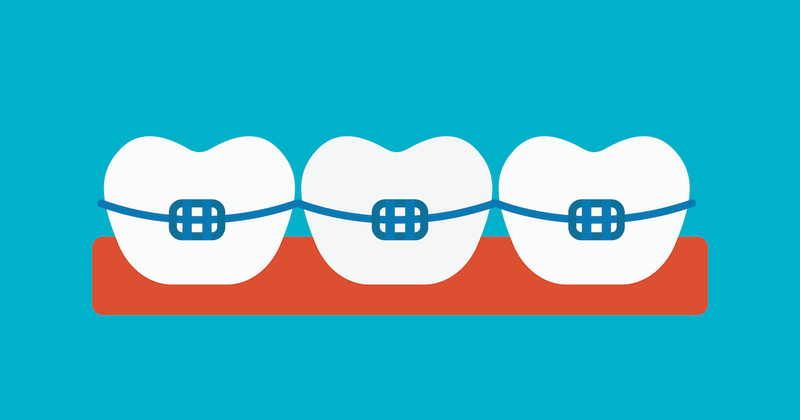 Get the right braces for the problem. Saw Mill Dental has braces to fit every age group and correct nearly every kind of dental problem. Depending on the cause and seriousness of the defect you wish to correct, we will supply a range of affordable solutions. If orthodontic correction is necessary, we may recommend traditional braces, invisible braces, or some form of retainer. Whether you are an adult concerned about your looks, or a parent concerned about the healthy development of your child’s teeth, we’ll work closely with you to ensure better teeth alignment, improved functioning of the teeth, and less difficulty chewing or speaking. The proper braces now can help prevent future problems such as gum disease, TMJ, and improper wear on poorly aligned teeth. The American Association of Orthodontics recommends that children get an evaluation before they reach seven years of age. By this point in your child’s development, the dentition and jaws will have reached the point where any current or future problems should be evident. By providing early intervention, your Saw Mill Dental dentist can ensure your child receives the necessary care to develop proper jaw growth. Appropriate braces also regulates the width of your child’s dental arches, encouraging the correct development and positioning of permanent teeth, while preventing future problems. Children aren’t the only ones who benefit from proper braces. Adults, too, may feel uncomfortable about crooked or misaligned teeth. Whatever your age, your Saw Mill Dental dentist can recommend an appropriate solution to ensure proper oral health, while giving you the smile you’ve always wanted. Don’t let age deter you from seeking appropriate care. As long as your teeth and gums are healthy and show no signs of periodontal disease, you are never too old for straighter, healthier, and more beautiful teeth. Gone are the days when braces meant unsightly and uncomfortable metal braces. Today’s solutions are designed to correct misaligned teeth with few of the conventional drawbacks. The Saw Mill Dental professionals will recommend the right braces based on a full oral examination. Depending on the type of problem in need of correction, we will recommend a solution that meets your objectives, addresses the severity of the problem, and corrects the specific type of defect involved. Your dentist’s recommendation may include visible or invisible braces, or some type of retainer, possibly one worn only at night. If you have concerns about wearing traditional braces, ask your Saw Mill Dental dentist whether invisible braces might work just as well for your needs. Depending on the problem, this discreet option may allow you to achieve the smile of your dreams without the nightmare of traditional bulky or uncomfortable metal braces. Although a beautiful smile is worth every penny, there’s no need to spend your last dollar to pay for it. If you have budget concerns, discuss them with the staff at Saw Mill Dental. We offer many affordable payment solutions, ranging from dental discounts to extended payment plans and other financing options. We’ll make the right braces for you or your child fit both your needs and the budget you have available.